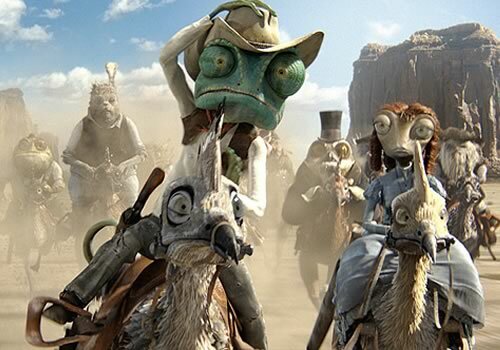 Rango bring the new adventures and great animations, which make you feel laugh and fun! He is an ordinary Chameleon's family pet and will experience to see new jounery in his life. He don't have a name so he forced to become the legendary hero "Rango" when he learns about a town of Dirt which really need the water. 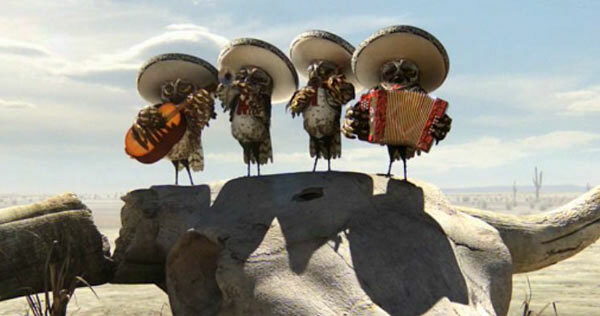 I really like a owls' group always singing for Rango! Haha! Wow, this town is really small cowboy's town! The residents of Town Dirt are really scare of the eagle and snake! 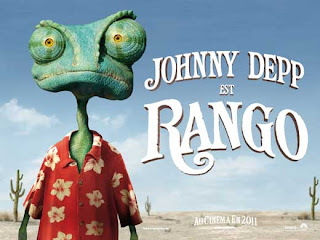 Rango is very lucky because he never be killed? :D He really need 100% luck if he faces more challenges while he is on his jounery. Sometimes, he is smart because he have good plan to make him and his friends escape from a war! After a villainous snake throw him from the town, Rango struggles with the eternal question of "Who am I?" while he keep to walk...It's good to make him understand the importance of the water for everyone and Town of Dirt really need him! He get his friends to help to fight with a chief, helpers, and villainous snake in a town! Sometimes, I feel boring because he always talk talk but, he always give the comendy..but it's not enough for his expression. I feel not like Rango because he is a lizard! Haha.